Koozie | T-shirts and Other Merchandise | Spinster Sisters Co. This foam koozie is printed with our logo on one side and "Suds Up with Sisters" on the other. 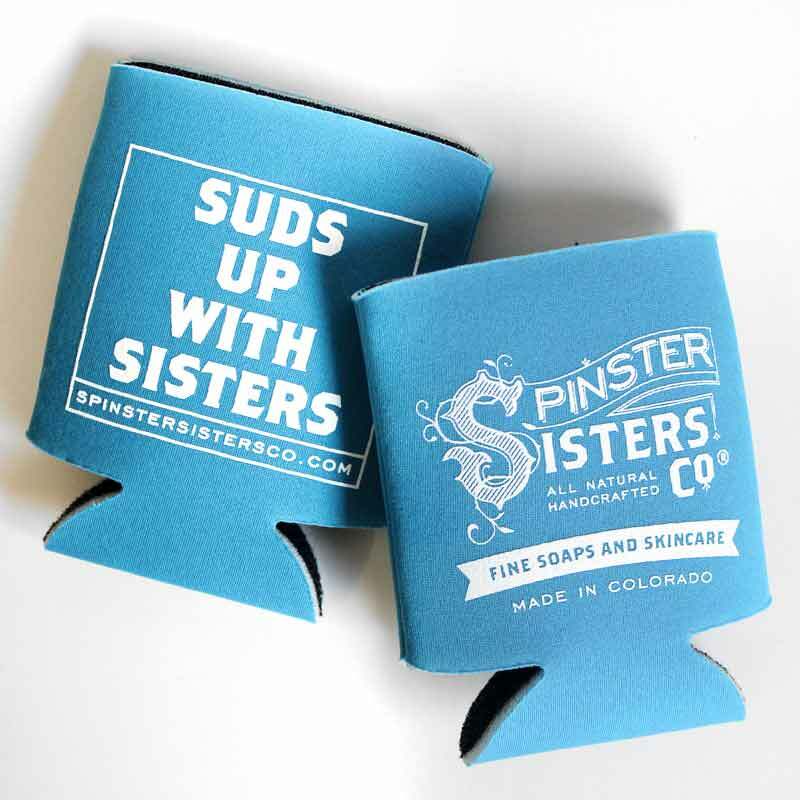 Warning: the Spinster Sisters Co. Koozie is known to cause extra-cold beverages, rowdiness and general good cheer. Crack open a cold-one (beer, soda, La Croix, whatever you fancy), insert into the Koozie. Enjoy cold and refreshing sips! Best enjoyed with friends and loved ones.